Mexico City almost didn't happen. Even though I've been anxious to practice my Spanish, fifteen weeks racing across nineteen European countries had pushed me to the brink. We had talked about sneaking in a quick trip to Mexico City before the end of the year, but I was waiting to see how tired I felt after arriving in NYC from Paris. Don't let the headlines deter you. 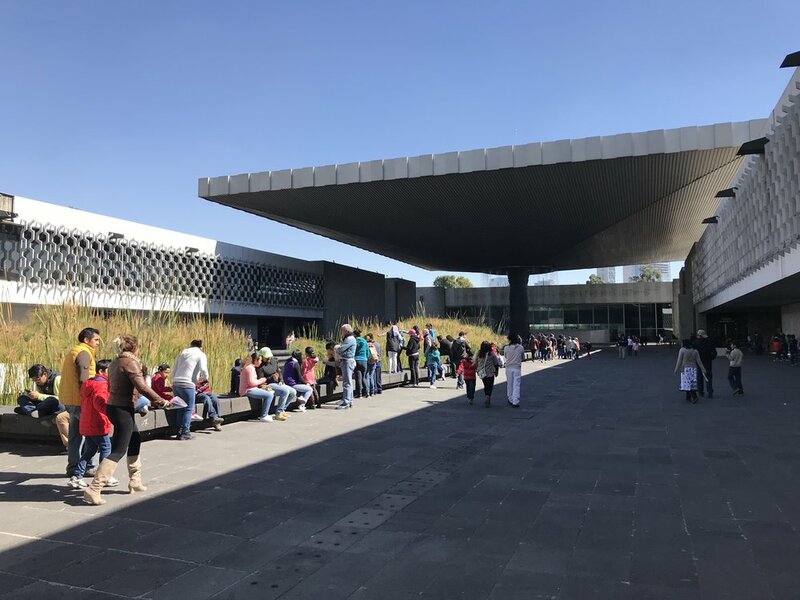 Sure, there are sections of Mexico City (known as CDMX, shorthand for Ciudad de Mexico) one should avoid, but I was surprised at how many lovely areas there were in this high altitude metropolis. We settled on a room in an Airbnb apartment in Polanco due to its safe reputation and proximity to sightseeing attractions. Other popular neighborhoods include La Condesa, Coyoacan and Zona Rosa near Paseo Reforma. 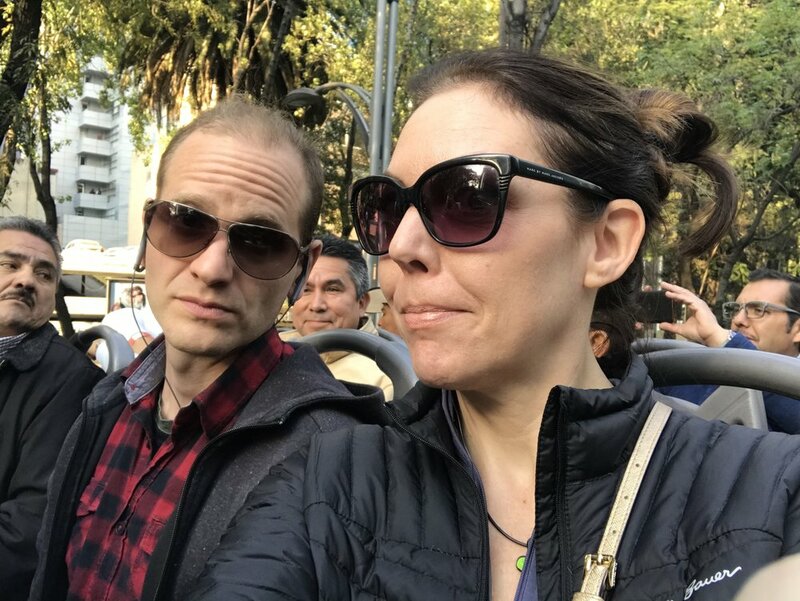 This was the first thing we did in Mexico City! 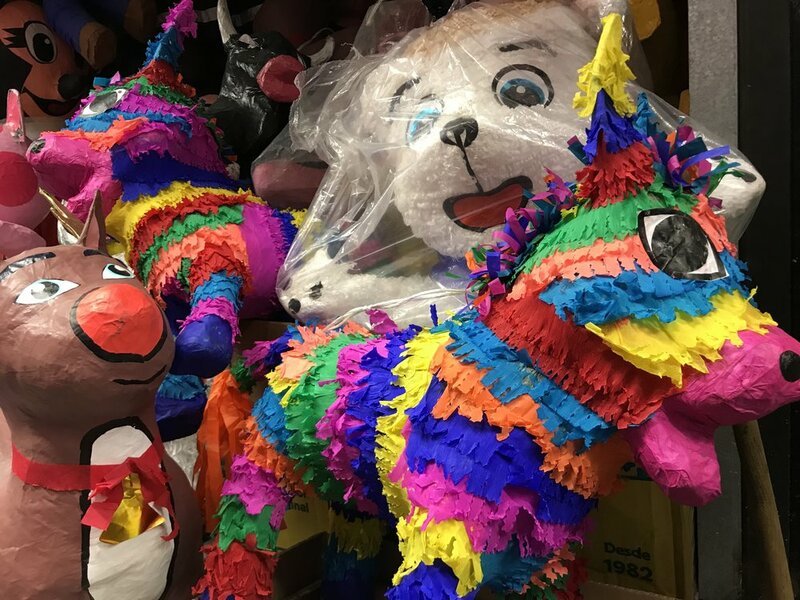 Perry is a huge wrestling fan and Mexico is famed for Consejo Mundial Lucha Libre, or simply Lucha Libre, a high-flying form of professional wrestling featuring masked performers called 'luchadores'. We decided to take the Turiluchas Bus, a tour bus that departs from the Reforma 222 shopping center. For 600 pesos ($31 USD, you can buy tickets on the bus), you get a ride to and from Arena Mexico with a luchadore that tells stories (in Spanish) and takes photos with you, as well as a ticket to the show. Arena Mexico is an old style auditorium built in the 60's, but there is something about its rough-around-the-edges appearance that adds to the mystique of the evening. The performances were exciting and the crowd was completely engaged with lots of cheering, jeering and laughter. Even the constant stream of vendors added an exotic element, selling spicy pork rinds, lucha masks and muchas cervezas. We even witnessed a fellow American playing a delightful 'heel', the vilian in wrestling terms, who stole the show with his over-the-top entrance. It was the highlight of our trip. Turibus runs four routes on its city bus tours and one ticket provides access to all of them, so if you start early enough, you might be able to complete them all in one day! 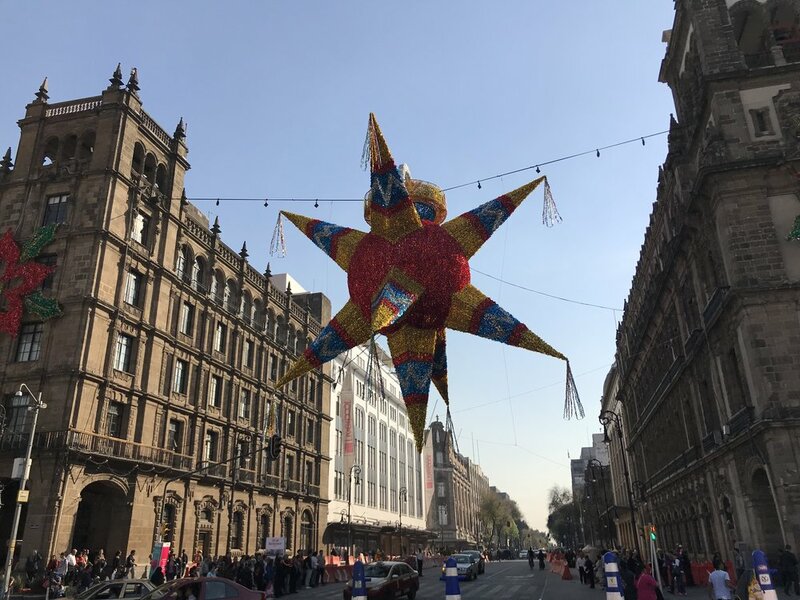 We focused on the Centro Historico route which covers Chapultepec Park, known for its world-famous museums, La Condesa, a historic area currently famous for its European architecture, cutting edge fashion and night clubs and Paseo Reforma, Mexico City's most famous street is lined with monuments. 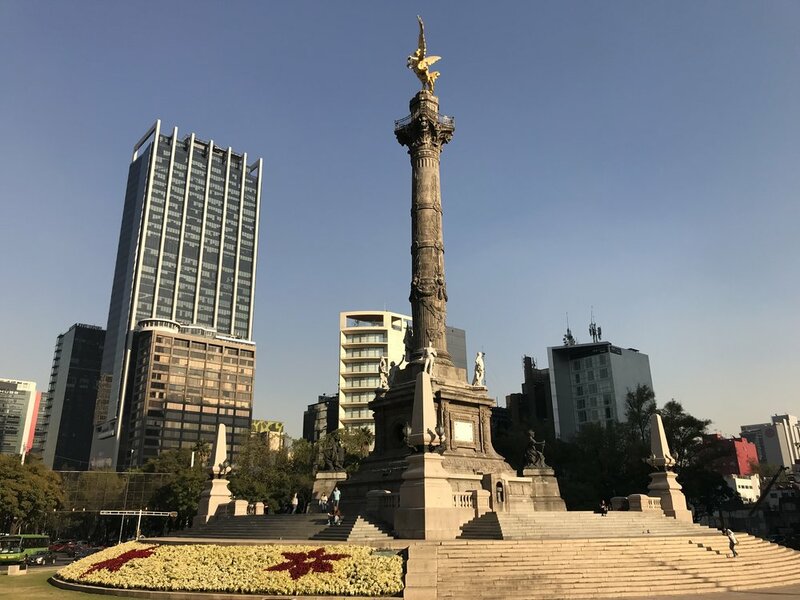 My favorite area was Zocalo, the main historic square of CDMX, one of the largest in the world, formerly the center of the Aztec city of Tenochtitlan, now home to the Mexico City's cathedral. We got off here, walked around for a bit and had lunch before hopping back on to complete the circuit. 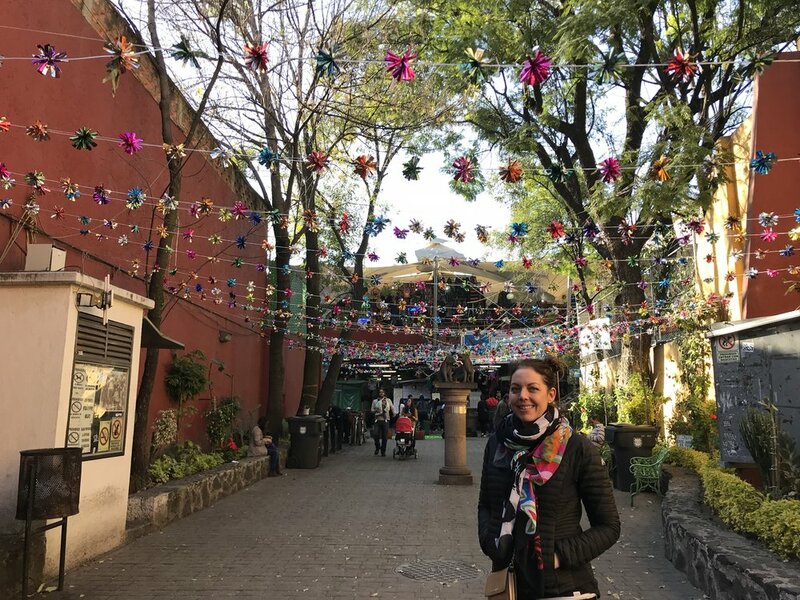 We also visited the Coyoacan area, home to the Frida Kahlo museum and relaxed, old fashioned vibe with plenty of artisaneas (arts & crafts vendors) and churros/hot chocolate. 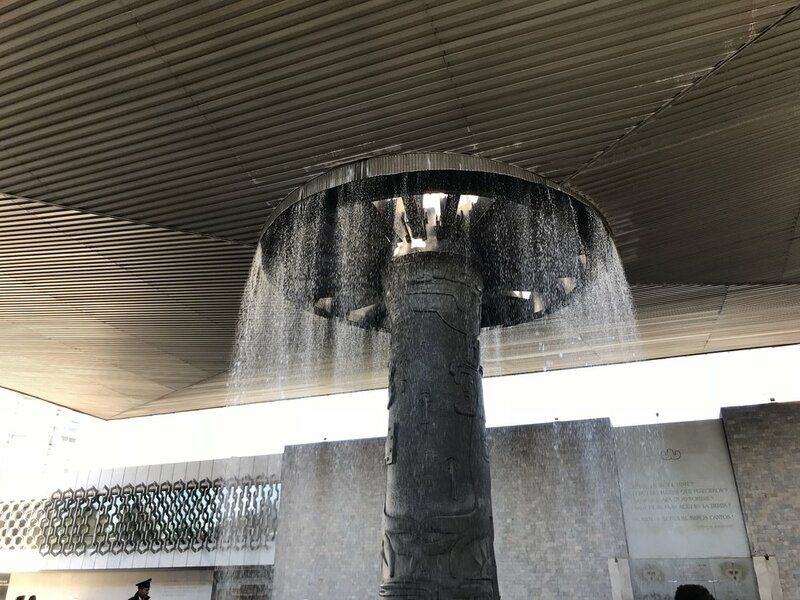 Chapultepec Park is the epicenter of Mexico City's most famous museums and leisure activities and the Museo de Antropologia is the crown jewel, a stunning world class museum for the bargain entrance fee of 70 pesos ($3.61 USD). 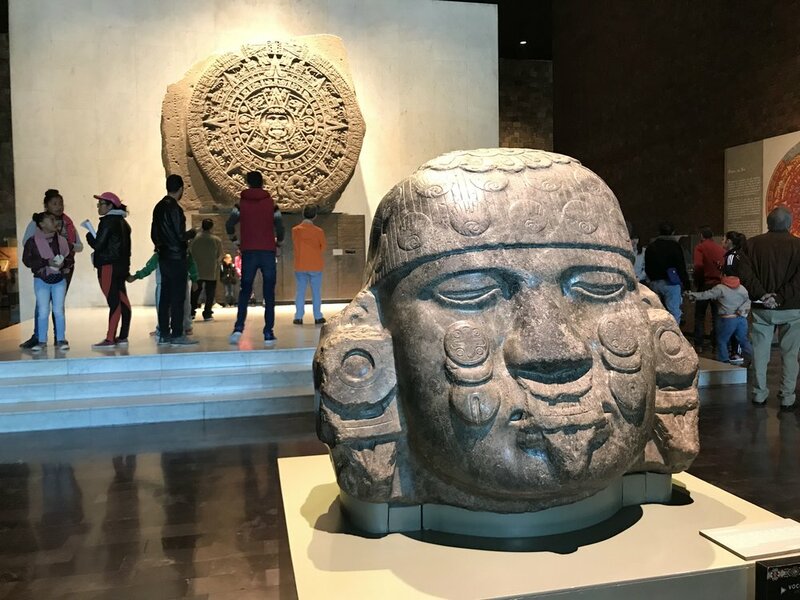 The exhibits are presented by historical era so you can start at the beginning with cave men and ancient tribes, then follow the rise of the Aztecs, Spanish colonization and all the way through to modern times. The displays are fascinating and prominently feature the native people of Mexico so that their contributions are never forgotten. In addition to the stunning collections, the facility itself is a wonder to behold. Last, but certainly not least, eating was one of the best highlights of the week. 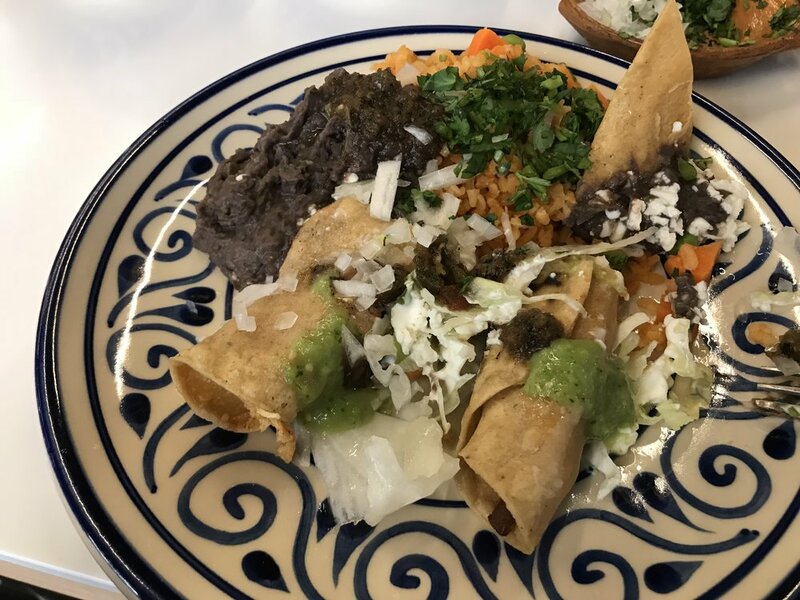 From street tacos to my cooking class, it was a non-stop food fest! 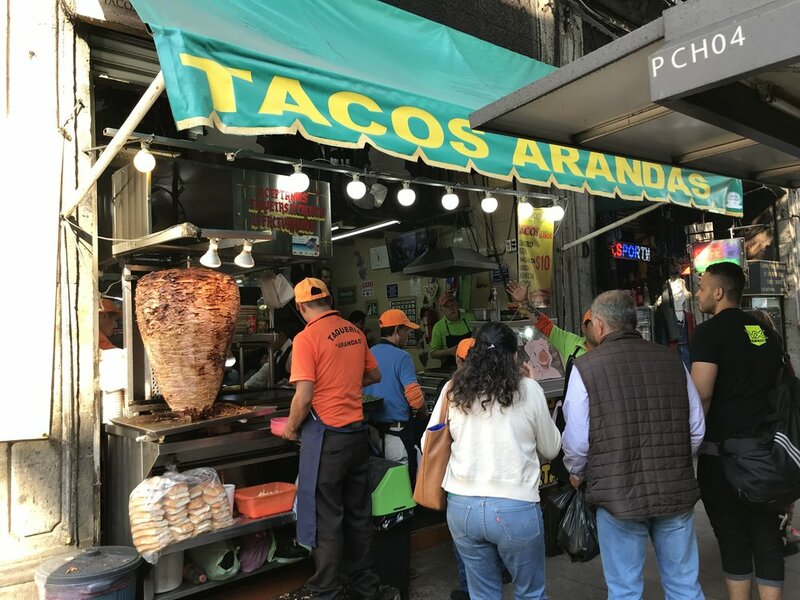 Despite not appearing on the scene until the 60's with the influx of Lebanese immigrants that brought shawarma, Tacos al Pastor has become the defacto cuisine of Mexico City. We had these tasty pork tacos topped with pineapple for lunch several times, because when they are this fresh and cost 20 pesos each ($1 USD), why the hell not? Luckily, I discovered a Tacos al Pastor cooking class via Airbnb and I cannot say enough about Chef Raja. He presented a wonderful combination of educational instruction with a fun hands-on learning. Overall, we had a fantastic week- with great culture, food, friendly people and low prices, Mexico City offers tremendous value for money! My only complaints were the lack of heating in our Airbnb apartment and despite extra care with water, etc, I caught a case of tummy trouble on my last day. I'm tired again, but I'll always remember the tacos.